On the first Saturday each December, Stranahan’s Distillery in Denver releases its annual Snowflake limited-edition single malt whiskey. 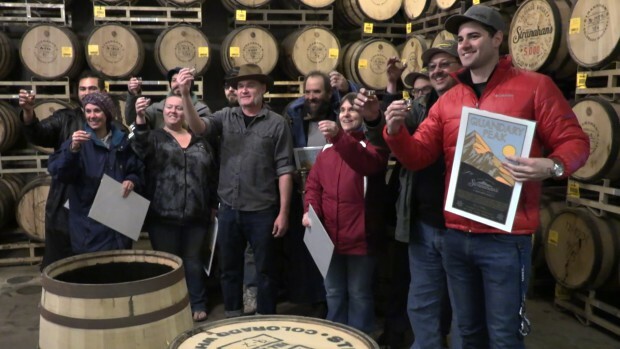 The release party has become more than just a one-day event, as hundreds of whiskey lovers start camping outside the distillery days in advance to claim a spot in line. We’ll meet these “Strana-fans” and get a look behind the scenes as the 2017 release of Snowflake goes on sale. Editor’s note: Production support for this episode was provided by Stranahan’s/Proximo Spirits. In accordance with our ethics policy, WhiskyCast retains full editorial control over the content of this episode.